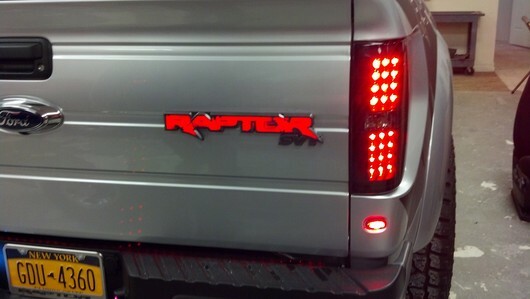 The Ford F-150 Raptor SVT Illuminated Tailgate Emblem is a great way to make your Raptor stand out from the crowd. It is a direct replacement for your factory emblem and is manufactured under license by Ford Motor Company. 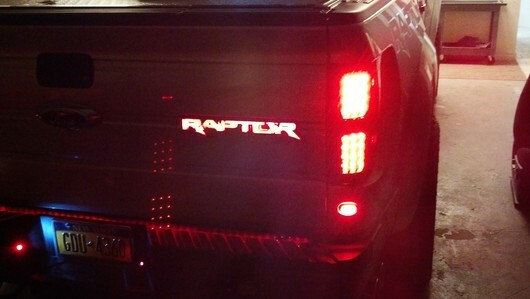 Featuring dark red OLEDs, this new emblem will light up once you connect the wiring to your rear running lights. 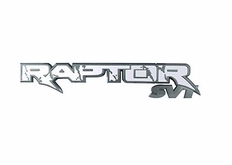 The part number for this item is 264284RD and it fits 2009-2014 Ford F-150 Raptor SVT trucks.